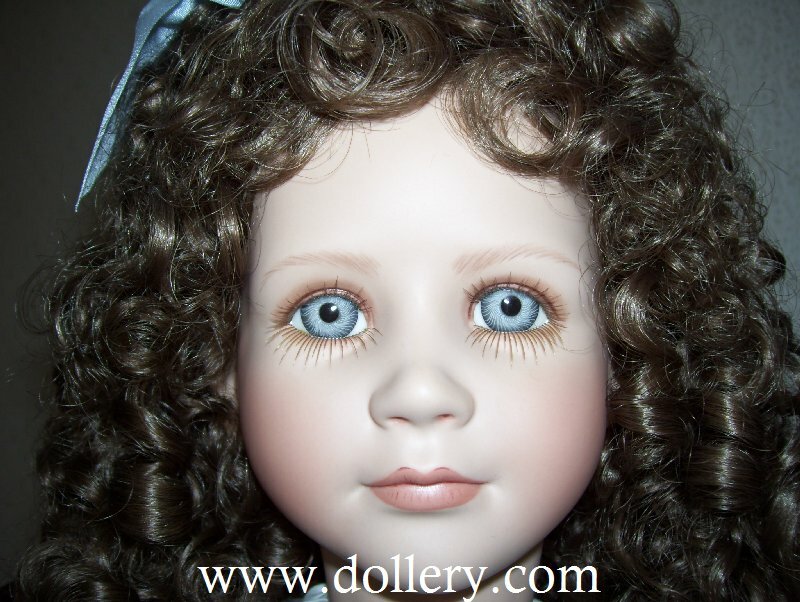 Completely Porcelain, #72/250, 25" (63cm), Blue glass eyes with real eyelashes, Brown curly shoulder length hair. Has artist plain brown box and Certificate. 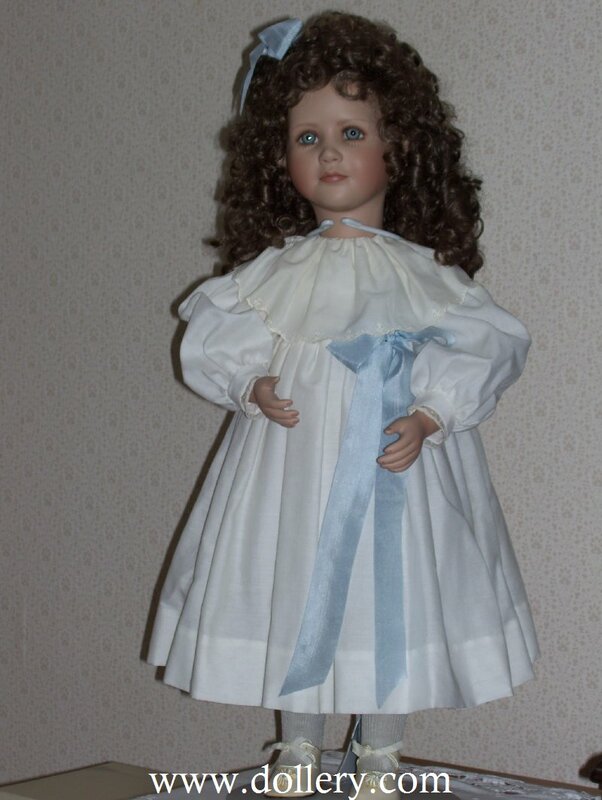 Displayed in a cabinet in a room with shades down in a non-smoking, no pet household. She has been in her box for the past 2 years. 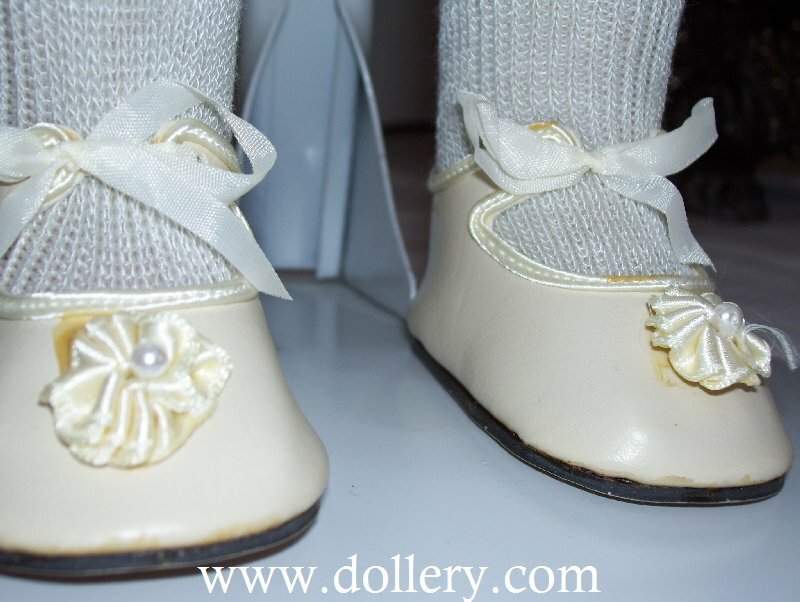 There are small glue stains showing on her shoes where the satin rose is glued. 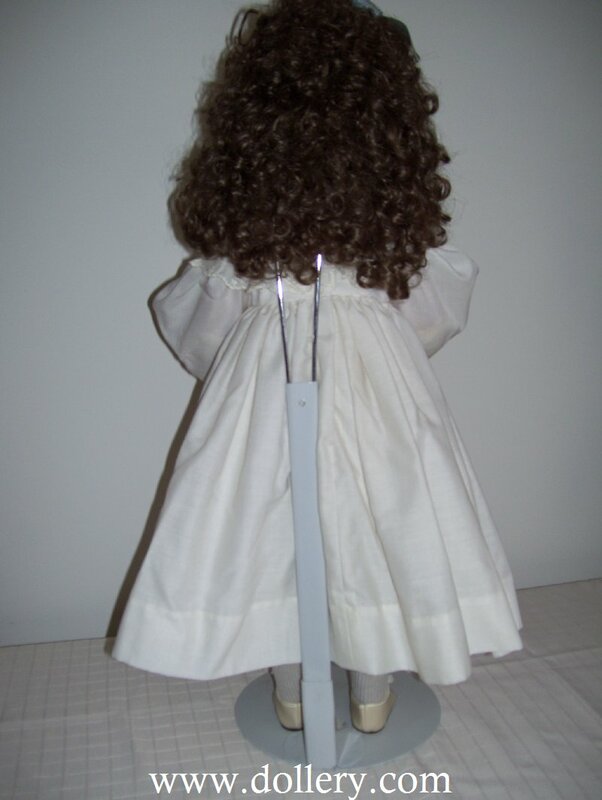 Elise is dressed in an ivory colored cotton dress with an eyelet collar. 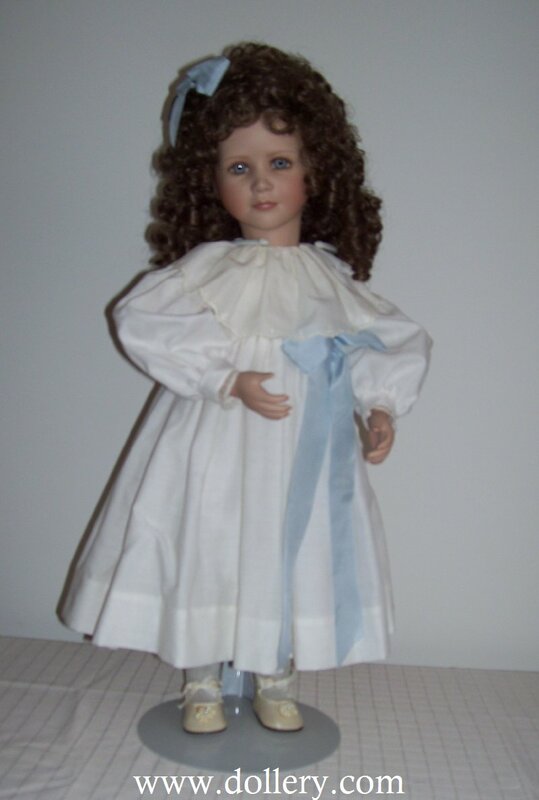 The bodice is trimmed with a blue silk bow and she has a matching bow in her hair. 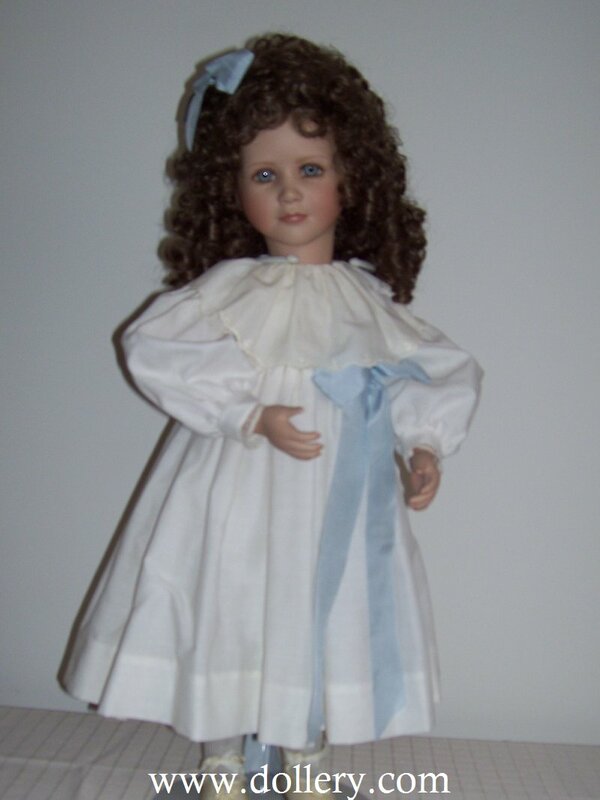 She is wearing a slip and pantaloons and ivory colored silk shoes.